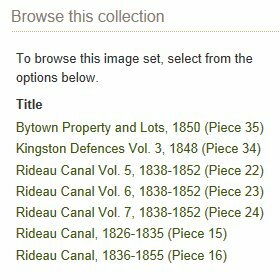 Tracing Your Rideau Canal Ancestors: Records of Labourers, Squatters and Tenants on the Rideau Canal. 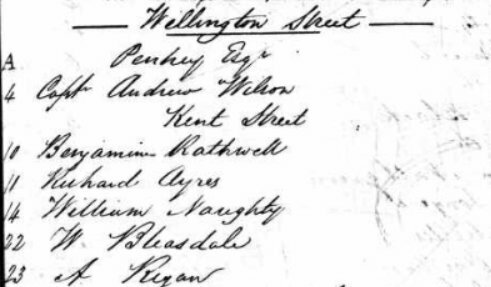 The following names have been transcribed from the records of the management of property and tolls in the Bytown area. library or local historical society who will probably have a free subscription. Note: There are 260 digitized pages for these records at ancestry.ca. The few records recorded here begin at page 165. We can then browse the records. Note: There are a great many! Thanks to Pauline Johns for bringing this link to our attention.